On Saturday, Terence Crawford will step into the ring with Yuriorkis Gamboa to defend his WBO Lightweight title at the CenturyLink Center, in Omaha, Nebraska, USA. Stepping in to the ring with his 23-0 record and 16 knockouts, this is Crawford’s fifth fight in two years. Crawford’s last fight was against Ricky Burns in March and thanks to his defense skills, he is the favorite heading into the fight. 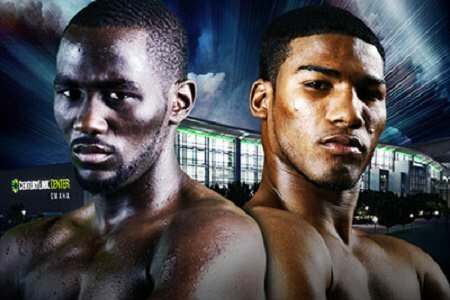 Crawford is also hoping that a victory against Gamboa will help to make his mark in boxing. Meanwhile, Gamboa has only had two fights since 2011 and this will be his first fight this year. He also steps into the ring with 23-0 and 16 knockouts and he is well known for hard blows to the body and combinations. The fact is while Crawford is six years younger than Gamboa and has more experience, it could be Gamboa’s offensive game and speed which could see him take victory. Until now, four of out Gamboa’s last six fights went the distance and if he is hoping to take Crawford down, he will need to ensure that he controls his tempo and lands some rapid punches. The bookies are offering 8/13 for a Terence Crawford win, 5/4 if Yuriorkis Gamboa takes the win and 22/1 for a draw.